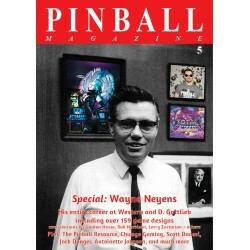 Welcome to the Pinball Magazine webshop. 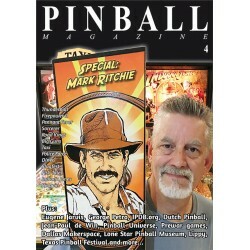 Below you can order your copy/copies of Pinball Magazine and related products. 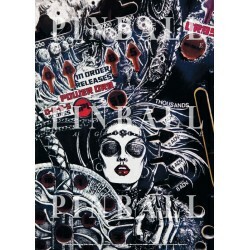 The name Pinball Magazine is widely considered to be a misnomer as it is more like a book than a "regular" magazine. It may help to see your order aspuchasing a collectors book. 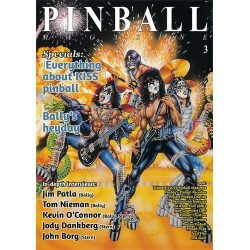 Pinball Magazine is shipped from Europe. The magazines are printed on quality paper and they are heavy. Postal rates from Europe for heavy magazines are not what we like them to be. 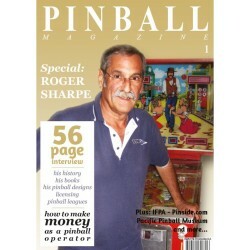 Printing Pinball Magazine products in the USA, and shipping from the USA, have been considered multiple times. So far it turned out that both the costs for printing and shipping appear to be more economical from Europe. If your local currency is NOT US Dollar, please make your payment in Euro. You can easily switch between Euro and US $ at the top left. If your currency is US Dollar you're also more than welcome to pay in Euro. 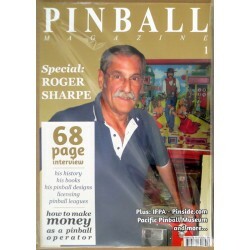 Due to our current arrangement with Deutsche Post, Pinball Magazine is shipped in batches that require a minimum quantity. As a result all incoming orders will be collected until the required number of orders has been reached. Then all collected orders will be shipped at the same time and as soon as possible. Usually we’ll ship one batch per month. When a new Issue has just been released possibly more. The address labels for our shipments are based on the address listed on the PayPal notification received after payment. If your order should NOT be sent to your PayPal shipping address, let us know via an e-mail to editor(at)pinball-magazine(dot)com. 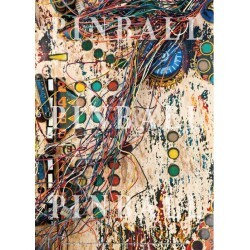 All undeliverable copies are returned to the Pinball Magazine offices. In case a copy is not returned, it will be considered delivered. In case your order is undeliverable due to your PayPal shipping address not being correct (or existent), your order will only be forwarded if the original order is returned to the Pinball Magazine office and after new postal costs have been paid for and a correct address is supplied. In case you have any questions regarding shipping, please see the FAQ if your question has already been answered. If not, please send an email to editor(AT)pinball-magazine(DOT)com. If you send an email, we'll get back to you as soon as possible. Thanks! Pinball Magazine No. 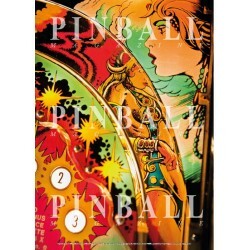 5 is finally here: with 360 full-color pages, all printed on high quality gloss..
Pinball Magazine No. 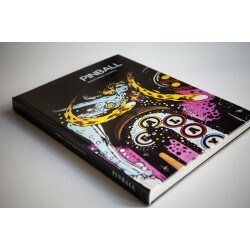 4 is finally here: with 244 full color pages, all printed on high quality ..
Pinball Magazine No. 3 is finally here: with 260 full color pages, all printed on high quality gloss..
Due to popular demand Pinball Magazine No. 1 has been revised and reprinted and is now available! .. 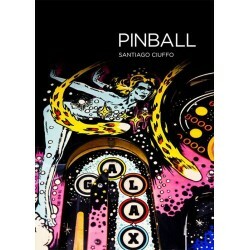 The best selling pinball book of 2014, 2015, 2016 and 2017! 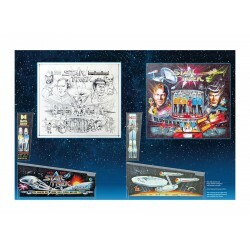 Argentinean photographer Sa..
Pinball poster of Kevin O'Connor's backglass and cabinet concept art for Data East's Star Trek. 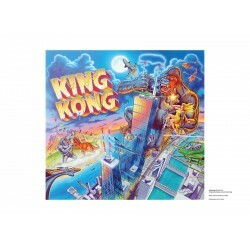 Art..
Pinball poster of Kevin O'Connor's backglass art for Data East's King Kong. 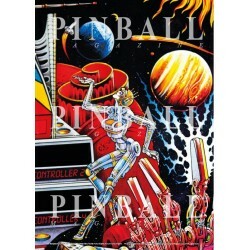 Art: Kevin O'Connor ..
Pinball poster of a playfield detail of Bally's Centaur pinball machine, photographed by Santiago Ci..
Pinball poster of a playfield detail of Stern Electronics' Galaxy pinball machine, photogr..
Pinball poster of Williams' Gorgar pinball machine, photographed by Santiago Ciuffo. ..
Pinball poster of a playfield detail of Stern Electronics' Nine Ball pinball machine, phot..
Pinball poster of a backglass detail of Williams' Pin-Bot pinball machine, photographed by..
Pinball poster of a playfield detail of Gottlieb's Time Line pinball machine, photographed..
Pinball poster of a playfield detail of Bally's Xenon pinball machine, photographed by San..
Poster of the cover of Pinball Magazine No. 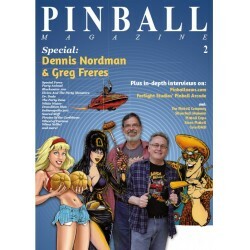 2 featuring Dennis Nordman and Greg Freres (and characte..
Poster of the cover of Pinball Magazine No. 1 featuring Roger Sharpe. Poster size: 70 x 50 cm (27.6..